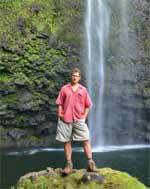 Do you want experience that Hawaiian waters and sights without the crowds? Your customizable private charter awaits you! Choose where you want to go, what you want to do, and what time you'd like to depart. You have a personal captain and crew at your disposal. Depending on what kind of day you're interested in, we have a boat for you... sailing sunset cruises, powerboat to world class snorkel destination, enter sea caves in a zodiac raft! 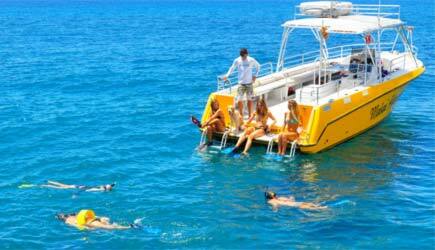 We can arrange private charters on other snorkel trips that are not mentioned on this page. Call us for more details. If you are interested in private charters fishingor whale watching, please visit those pages for more details and to make a reservation. Jump into the pristine waters of the Pacific! Makai Adventures is a locally owned and operated business, and their crew love sharing local knowledge, Hawaiian history, and marine life information. Their Captains all maintain the US Coast Guard licenses and certifications, and their entire team is First Aid & CPR certified. Makai Adventures also provides an in-water guide & naturalist, who gives you personalized instruction in the water and can answer any of your questions. Along with first class service, they provide each guest with the highest quality Cressi Brand snorkel gear: dry snorkels, frameless masks, adjustable fins, and optional flotation belts. 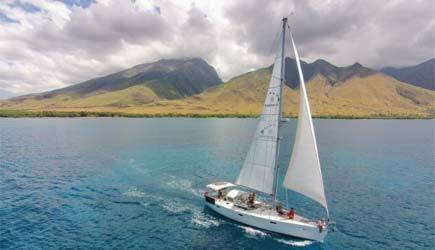 Makai Adventure's sailing boat, Kainani, can accommodate up to 6 people. This is perfect for those seeking adventure and who want to catch the wind. You and your party can relax on the bow, enjoy the sights, or learn to sail! 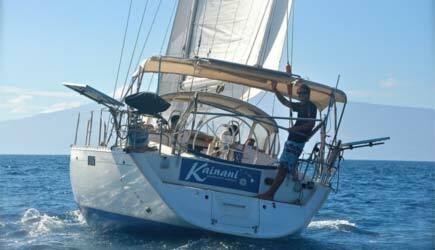 Kainani is a 43 foot Beneteau Oceanis, which features 3 cabins, shaded cockpit, swim step, solar power, and 2 bathrooms. Snorkeling and sailing trips, thrilling performance sails, relaxing sunset sails, intimate proposals, and multi-day, live-aboard adventures are all possible! 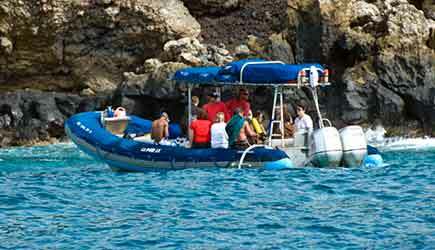 They depart from Ka'anapali Beach, and they load onto a zodiac first. Guests must be able to walk through the sand and climb a short ladder. 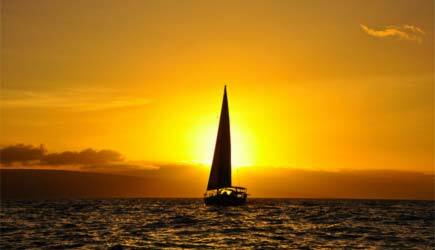 If you'd like to depart from Lahaina Harbor, they need to know at least a week in advance to arrange it. Cancellations must be made at least 7 days before the start of the charter. Spend the day on the beautiful ocean! Go on an adventure on a comfortable speedboat! Makai Adventures also offers a private charter onboard their powerboat, Kainalu (ocean wave), which was custom designed for small group experiences. 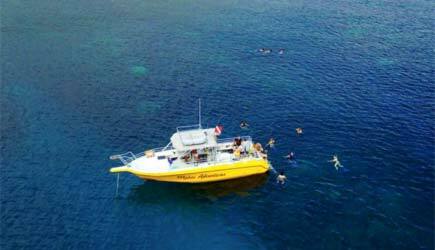 Their boat can accommodate groups of up to 24 people, and they depart from Lahaina Harbor. Kainalu is 12 feet across, and is more comfortable than any other raft. It has a smoother ride, cushioned seats, back rests and guests can move around the vessel with ease. Kainalu also features a large swim step just inches off the water as well as swim stairs that makes getting in and out of the water easy. Onboard restroom and a freshwater shower is also provided. Whale watching, sightseeing, snorkeling...so many possibilities. This is perfect for a memorable family getaway, group activity, or just a brand new adventure! Blue Water Rafting is a great option for parties staying in a resort at Wailea, Makena, or a South Kihei condo property. They depart from the Kihei small boat ramp. 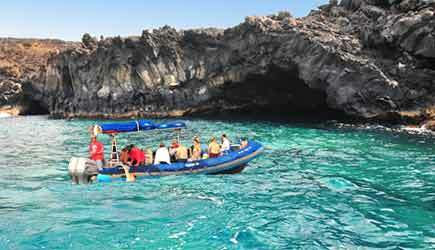 Their vessel is a 24 passenger zodiac raft and is perfect for the adventure seekers! They do not allow pregnant women or those with neck or back injuries. They could accommodate a younger child with the understanding that this may change destination or itinerary with respect to wind and sea conditions. 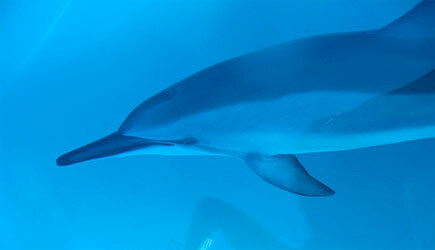 Go dolphin or whale watching, explore sea caves, swim with sea turtles... the choice is yours! Cancellations must be made at least 72 hours before the start of the charter. NCL cruise ship passengers in Kahului are able to do Makai Adventures or Blue Water Rafting Charters on their second day in port. For all charters, we recommend a rental car as the drive to Kihei Boat Ramp is about 25 minutes, Lahaina Harbor is about 35 minutes, and Ka'anapali is about 45 minutes. Rates vary throughout the year but start around $40 per day in low season; see our rental car page for more information. Lahaina cruise ship passengers can do both Makai Adventures Charters only on day 2 (assuming your ship is spending the previous night in Lahaina). This would require a 10-15 minute cab ride to Ka'anapali for the Sailing, or we can arrange a rental car. The Makai Adventures Powerboat leaves from Lahaina harbor, so it'd be the most convenient. Blue Water Rafting is not practical for Lahaina cruise ship passengers. For those who don't mind spending a little more, private charters are a great way to experience Maui's ocean but completely avoid the crowds. It gives you the feeling of "owning the boat" for the day.You don't have to worry about crying babies on board, or, if you have crying babies, you don't have to worry about bothering other people on your excursion. Don't worry, the Captain will survive! The second boat is Makai Adventures powerboat. This vessel can hold more people (up to 24 to be exact), and gets you where you want to go quickly. The minimum charter length is 2 hours, which is fine for a whale watch. 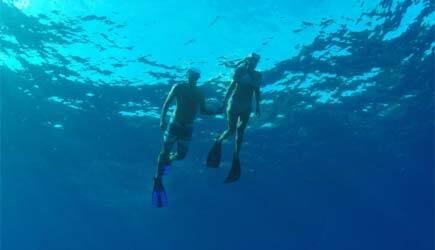 For a snorkel somewhere around Maui 3 hours should be considered the minimum, with 5 or 6 hours if you'd like to make Lanai your destination. For a South Shore alternative, Blue Water Rafting works great. Their minimum charter length is 4 hours in the early morning, and 2 hours after 11am. 2 hours gives you enought time for a quick trip out to Molokini, but you will have the place to yourself at that time of day ... you might consider making that 3 hours! 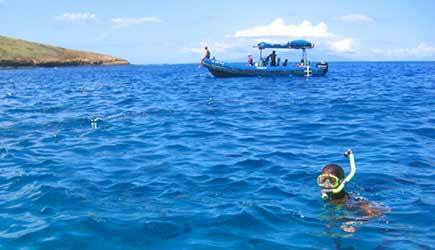 Sailboat with snorkeling - 5 hour min Powerboat Whale Watch - 2 hour min. Makai Powerboat Snorkel - 3 hour min. Blue Water Rafting - 4 hour min. before 11am & 2 hour min. after 11am.